SKU: 16224. Categories: Furniture, Militaria. 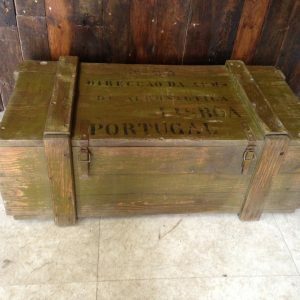 Tags: Portugal aviation, Wooden Trunk. 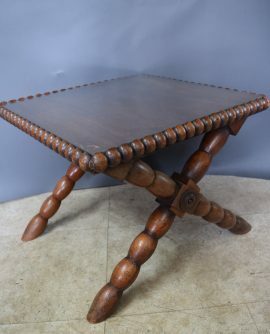 Looking for a coffee table with a difference? Marked on the top 'No 63 Direccao da Arma de Aeronautica, Lisbon, Portugal'. I believe this translates to Aerospace Weaponary. Painted green and of very solid construction. 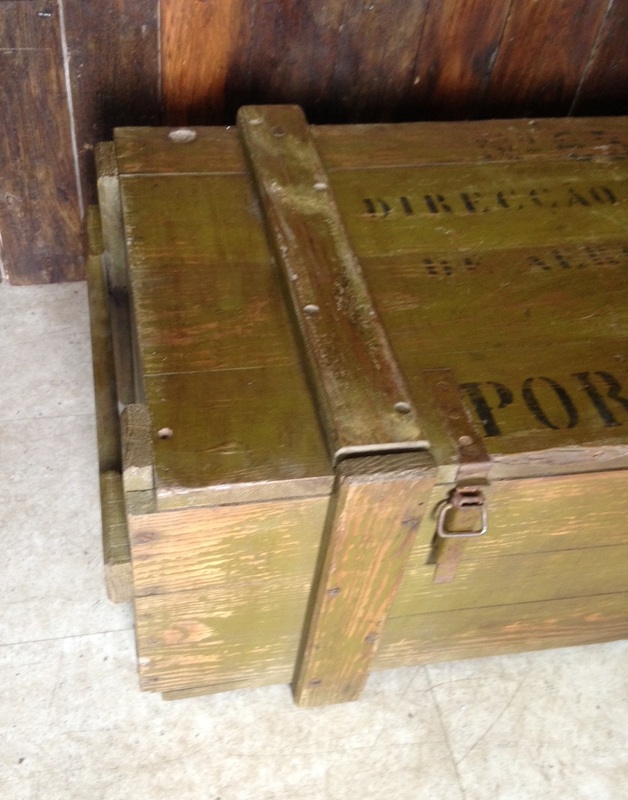 This large wooden crate has so much character and would appeal to anyone with an interest in aerospace, the military or with Portugese connections. 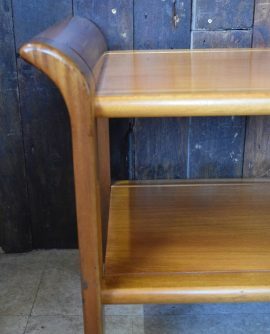 Fantastic patina to the painted wooden finish. Lined with galvanised steel which was because it was used for transporting explosives. Very heavy item due to size and steel lining.